Perched on South America's northeastern coast, Suriname boasts a vibrant medley of cultures, a bustling capital city and untouched tropical rainforests. Explore it all on a seven-night adventure for $999 per person, including all taxes and fees. Note: Pay by check for this special rate. Prices with other forms of payment are 5% higher. 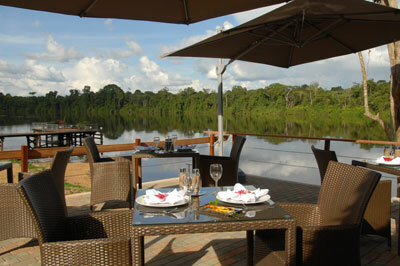 Click "Suriname A La Carte"
Click the "View Dates" (advertised discounted rates must be reserved by phone 1.800.783.7839). Rates are per person double occupancy. Promotion valid only on new reservations. Limited Space. Call 800-783-7839 to speak with one of our reservation specialists. Payment in full at time of reservation.